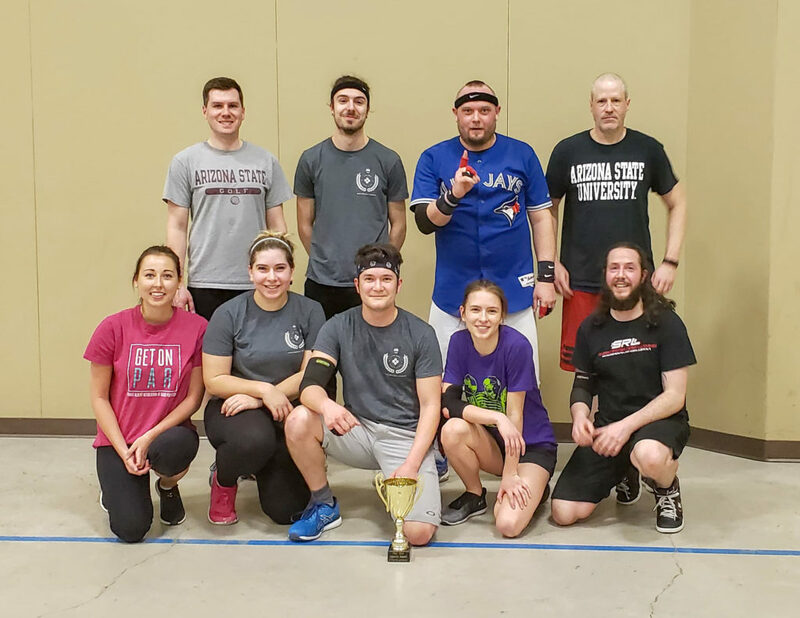 Congrats to our winter 2019 league winners! 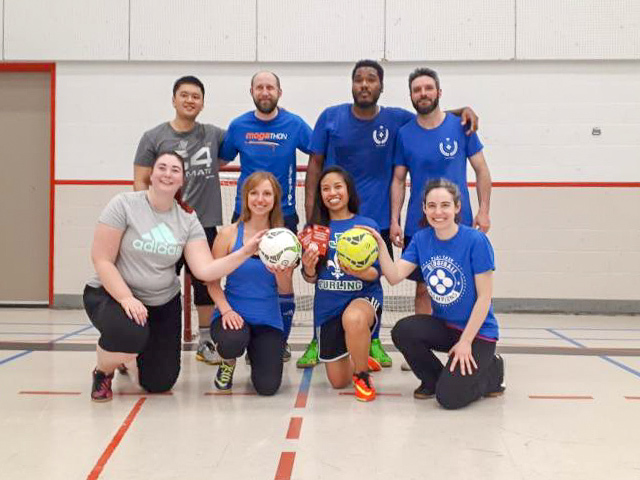 Our winter 2019 futsal and dodgeball leagues ran from January to April. There were epic battles, friendly rivalries and a great show of sportsmanship all around! Congratulations to all the teams that made it to the top, and cheers to all the other teams that gave it their all but didn’t make the cut – better luck next season. It was a super intense game against reigning champs Chuckin Canucks, with only one point difference. The BALL FONDLERS!! 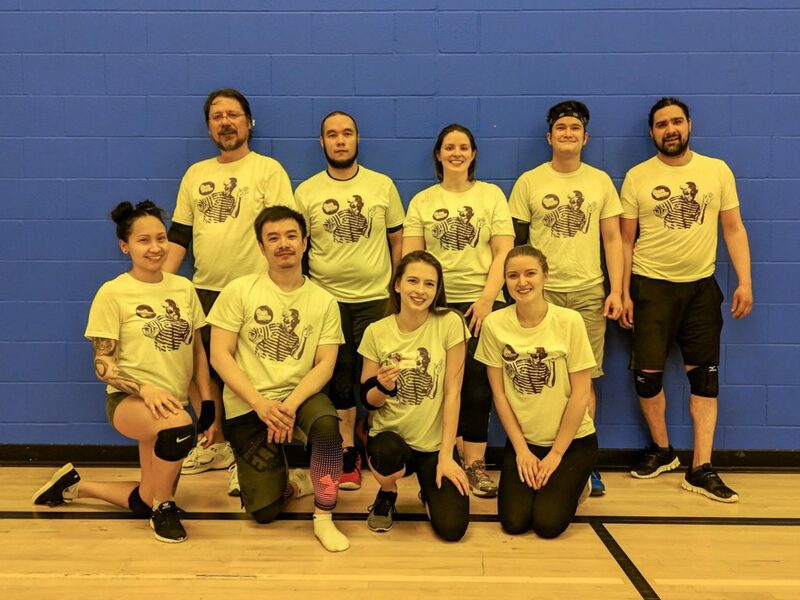 get a gift certificate to Finn’s Irish Pub, champion T-shirts and the inaugural Play Sask Competitive Dodgeball Champions trophy! It was a great close game against Balls to the Walls but Fresh Prince of Ball-Air came out on top. They get championship T-shirts and a gift card for Finn’s Irish Pub, PLUS swag for having a perfect spirit score all season! The futsal playoffs were hosted in one day where the top four teams matched off against one another. The Blue Team beat Off Constantly in a close match where the winning point was scored in the last minute of the game! The Blue Team gets champion T-shirts and gift cards to Boston Pizza.